A 16th century 'theme park' full of monsters! Ever seen a Renaissance version of Disney? This park will appeal to adults and history-buffs alike. Just outside Bomarzo, a small town in Northern Lazio, 90 minutes north of Rome. Map. One of his projects was building the world's first theme park. This park was meant to amuse and astonish visitors with its strange monsters, mythical creatures and even a haunted house. Don't expect any actors dressed up as characters though- the real stars here are made of rock and covered in lichen. 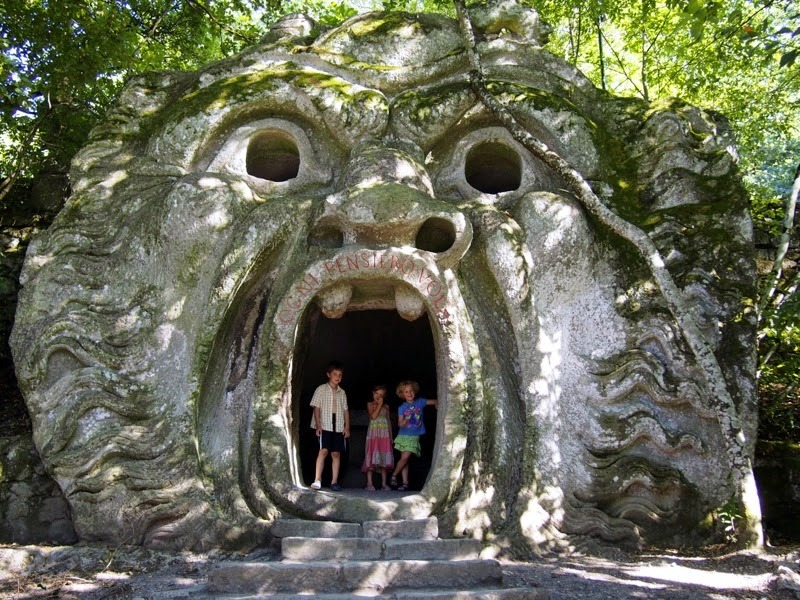 The park is great for kids, who will delight in exploring some of the grottoes and statues. There is plenty of shade which makes it a great place to visit even on a warm day. Also, it is a lot cheaper than a day to Disney World, where the most dangerous monsters are those emptying your wallet by stealth and pester power. Once you're in the Monster Park, you'll find a clearly-marked walking route which takes your past all the various attractions. All in all there are about 20 different stops- some of which can be seen in the pictures here. Autumn is a nice time to visit as the chestnut trees around the park drop their fruits. The beauty about this park is that it is all highly entertaining for various audiences. If you're a history fanatic who wants to look up every obscure myth referenced and who gets all aroused when seeing old rocks, Bob's your uncle. And if you're more interested in running around and listening for the echo in the mouth of a large monster cave- Bob can be your uncle, too. 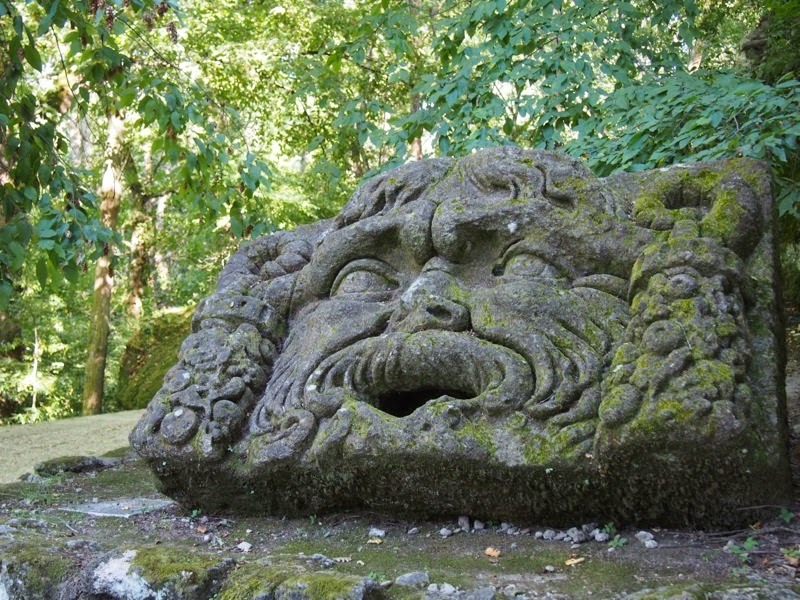 The park is located on the outskirts of the town of Bomarzo. Bomarzo is one of those incredibly picturesque Italian towns, made entirely out of stone and built on a rock. 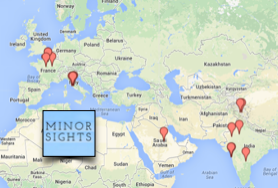 Come visit before Rick Steves discovers it! The town of Bomarzo itself is, as many of the towns in this region, built on a hill and full of medieval houses. Sorry, those relying on public transport are in for a bit of a challenge. Getting there on your own (rented) wheels is by far the easiest. Bomarzo does have train station and there are buses from Viterbo so that's another option to explore.